With millions bookings done online every year and large number of them done directly at hotel websites, no hotel owner can afford to make a mistake with their booking engines. 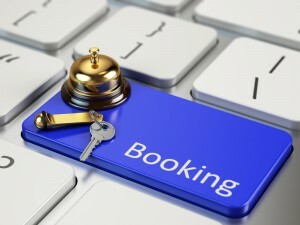 Despite this there are hoteliers that goof up and make mistakes with their online booking engines. While running a multiple of operations can be challenge it is vital that booking engines are error free. Online guests have numerous options including a quick search and one month etc where they search for room availability. It is vital that they have the facility to make searches quickly and accurately at the website. If they instead have to go through multiple pages to find a hotel booking, the chances are you will not get their business. For this you need to ensure that your website offers them the simplest way to find accommodation on dates as soon as they visit any website page. As a business owner you aim to offer online visitors a seamless browsing experience. If that is the objective why does the website differ from the booking engine in appearance? If both of these do not complement each other, there is the possibility that they will hesitate to make a reservation. This is a critical aspect for those looking to make online reservations. As prospective guests they want to see images and have access to all related information before they decide to make a booking. Each description found in the booking engine should be a perfect match of the information on the webpage and every image must be clear and of high resolution. You could make it more attractive for the guest by listing the available amenities that come with the room booking. This will help them to determine they are choosing the right place to stay. You need to be upfront of property policies including key areas like fees, deposits, cancellation policies etc. Once they have access to all of this it will make it easier for them to decide to make a booking. Each policy must be simple and direct so that they do not have to read excessively through complicated language when making a booking. While the reservations process at your website may be simple and easy to follow it must offer a progress bar so that guests are reassured they have a short process to complete. When they see that it just involves three or so steps on the progress bar, they know it is simple and are likely to go ahead and complete the booking process. If instead there is no progress bar and they user is unsure about the number of steps involved, they might go ahead and drop the idea of making a booking. While you may have a slew of attractive packages at your property, these must be updated and reflect at on your booking engine. Surprisingly many hoteliers skip the latest available packages and special rates and consequently lose out on prospective bookings.